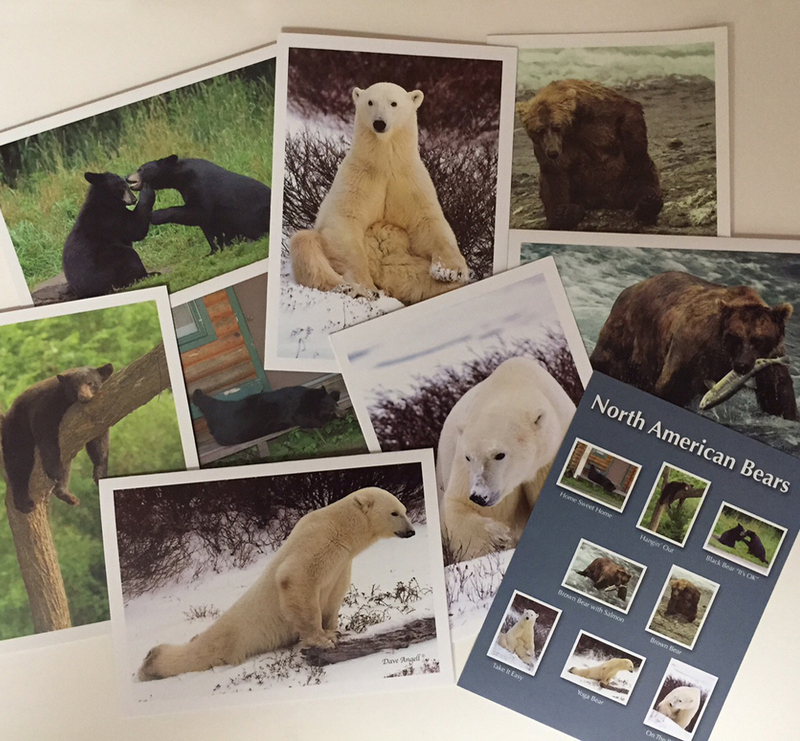 The North American Bear group has 8 different bear images. There is an image of a Black bear on a cabin porch, a black bear “Hangin’ Out”, black bears “It’s OK”. Brown bear with salmon, a brown bear sitting on the shore, a Polar Bear “Take It Easy”, “Yoga Bear” and a Polar Bear “On the Prowl”. The cards are a folded 4 x 6 blank inside card with envelopes.